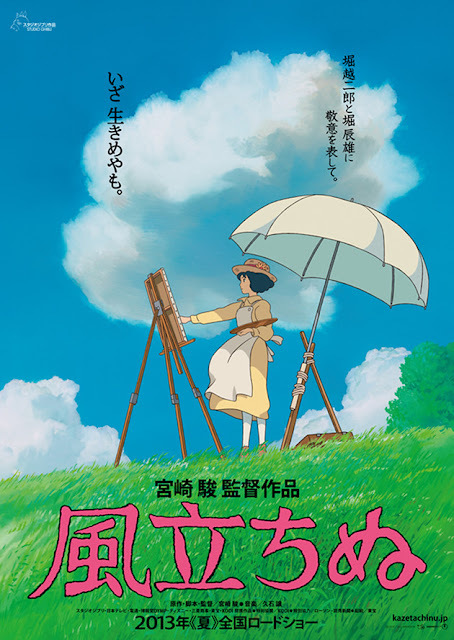 First one sheet for Hayo Miyazaki's latest film 'The Wind Rises' (Kaze Tachinu,) based on his own screenplay - which is, in turn, based on his original manga of the same name - 'The Wind Rises' touches on the life of Horikoshi Jiro, designer of Japan's Mitsubishi A6M Zero fighter plane, widely used in World War II. 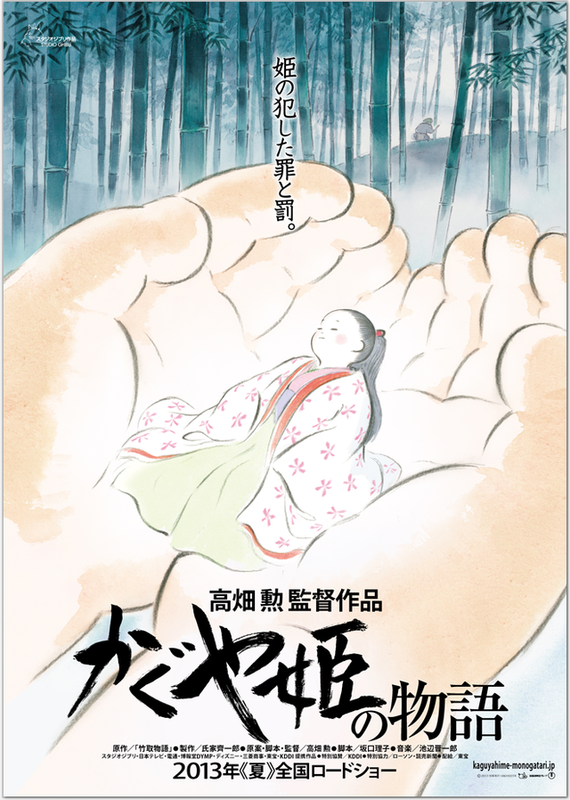 Update: The One sheet for Isao Takahata's first movie since 1999's 'My Neighbors the Yamadas' is now also below 'Taketori Monogatari' (The Tale of the Bamboo Cutter). Based on the 10th century Japanese folktale 'Taketori Monogatari,' is the story of moon princess Kaguya-hime, discovered as a baby inside the stalk of a glowing bamboo plant.